A departure from Armada's playful skis, the Invictus 108 Ti Ski offers a damp platform to conquer variable conditions and, when the time comes, crush when there's a foot of fresh. The stiffer flex pattern and longer turn radius make these planks want to arc down open faces and scream through tight chutes. Two layers of aircraft-grade titanal help you mach through moguls if you really wanted to, but you'll find it charges through the soft stuff best. 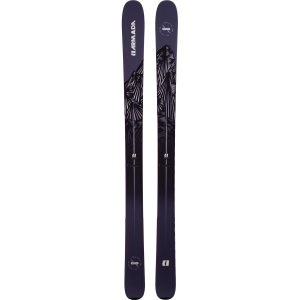 Armada shaped this ski with traditional camber underfoot to provide stability, and the rockered tip lets you maximize the fun when a storm system rolls through. 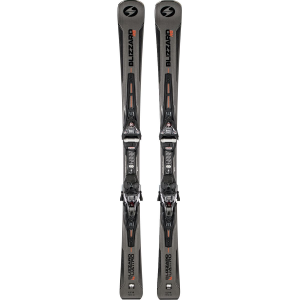 Carbon fiber strips stiffen them even more, and give the ski a dependable jolt coming in and out of turns. The sandwich sidewalls maintain durability so you can rally season after season.